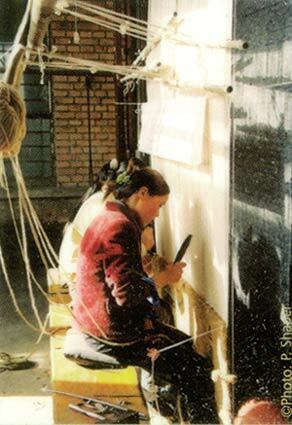 Four wooden bars similar to a frame construct a horizontal loom. 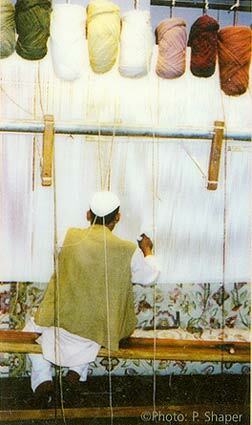 The distance between the two parallel sidebars depends on the width of the rug to be woven and the distance between the top and the bottom bars determines the length of the rug. 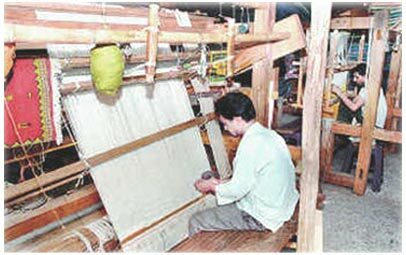 Production time, worker safety issues and rug size limitations (with respect to looms of comparably sized horizontal/vertical types only) - may all be improved with the adaptation of the horizontal loom for commercial use.